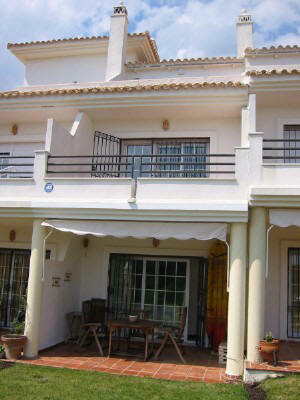 Description Located within a private gated development (Hoyo 2) on the prestigious Nuevo Portil Golf Course, in the Huelva Province of Costa de la Luz, this highly sought after south facing townhouse offers the perfect holiday retreat. Stunning views to sea, golf course and pine forests the house offers unique vistas, a pool and gardens and is in the perfect location close to the clubhouse and 10 minutes from the beach. 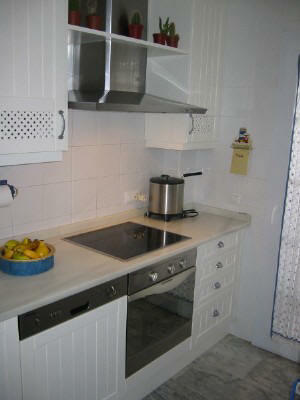 A fully equipped fitted kitchen with all the cooking utensils, crockery and cutlery. Appliances include fridge, freezer, oven, hob, microwave, and dishwasher. Toaster, kettle, juice squeezer all provided.Located off the kitchen, there is a utility room with a washing machine and clothes horse. Living room Dining area and living room combined, it has a woodburning fire, and is equipped with TV, DVD player and CD player. A selection of DVD's and CD's can be provided upon request. Bedrooms Master bedroom has double bed and built-in wardrobes. En-suite bathroom with washbasin, bath/shower, WC and bidet. South facing terrace, complete with sun loungers and views to golf and sea. Bedroom 3 with twin beds, and built in wardrobe and drawers. South facing terrace with bar stools to watch sunset. 2nd Bathroom with washbasin, shower and WC. Cloakroom situated on the ground floor with washbasin and WC. 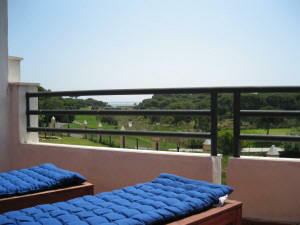 Outside All terraces are south facing and overlook the sea, pine forests and golf. The garden terrace has outdoor furniture surrounded by jasmine trellises leading onto communal gardens, where the pool and paddle court is located. Activities Along with the stunning beaches, the area offers some fantastic golf courses, or for the more adventurous, fun activities such as kite-surfing, go-carting, riding, a wide array of water sports, or cultural activites such as local ferias. 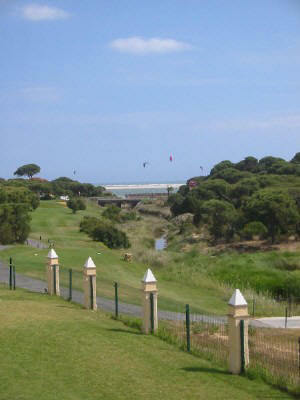 El Portil is only 15 mins stroll and provides all your daily needs. The pretty fishing village of El Rompido is a couple of miles away with its numerous beach front restaurants which offer superb seafood and affords a totally uncommercialised taste of Spain. 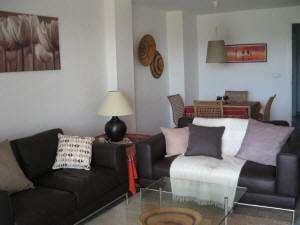 Nearby is the newly built marina of El Faro with a selection of shops, cafés and bars. There are plenty of exciting local activities to take part in whilst on holiday at Nuevo Portil. Conditions 50% non-refundable deposit required to secure your booking and final payment required 4 weeks prior to arrival. A 200 euro breakage and damage deposit is also required upon arrival which will be returned at end of stay provided there have been no major damages or breakages. 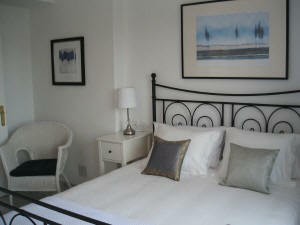 Your accommodation is reserved for you from 2pm on your arrival day. On your day of departure you must vacate the home by 10am. If you have a late departure please let us know and we will do all we can to extend this time for your convenience.